This year on May 31st the Dutch CETOP member association FEDA celebrated its 40th anniversary. Being a merger of different associations, FEDA has more than 170 members, among them also fluid power companies. 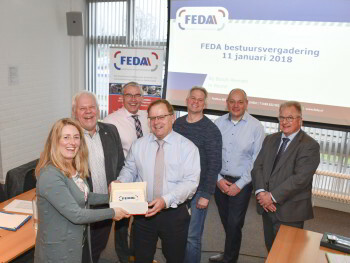 The FEDA associated members offer employment for about 30.000 people, who together generate a turnover of 4 billion Euro which makes FEDA one of the strongest technical branch organizations in the Netherlands. January 11th 1978, a memorable day, on which the 'Trade fair Association specialist in organizing a trade show for "Aandrijftechniek" was founded. Participants in this collaboration were the 'Vereniging Voor Aandrijftechniek' (VVA) and the 'Federatie Hydrauliek en Pneumatiek (FHP)'. The VVA and FHP have been operating independently for years under the wings of FME. 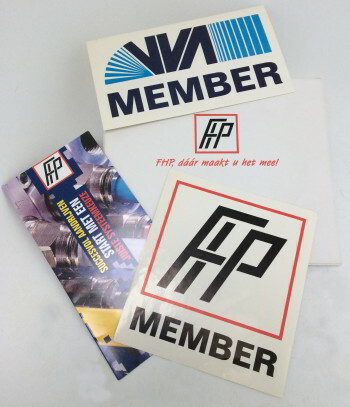 Both participated in the organization for the trade show 'Aandrijftechniek' in Utrecht for many years, which eventually became the event for everyone involved in electrical and mechanical motion solutions, hydraulics and pneumatics. But the world changed, techniques melted together and behind the scenes plans were made to develop a branch organization to unite the different disciplines. André clearly had a foresight, because late in 2005 also NERATRANS, the Dutch association for producers of gear boxes, joined FEDA. Followed by both the 'GTA (Groep Technische Automatisering)' and the 'KPA (Kring Process Automatiseerders)'. Because of this addition the logo of FEDA also changed with the 'extra A' at the end. Finally, on April 20th 2007, the 'vereniging leveranciers persluchten vacuümtechniek (VIP)' joined. 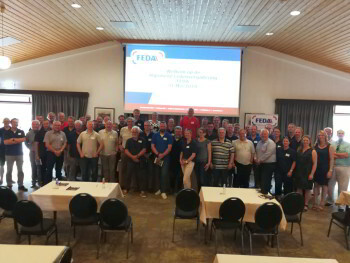 This association just celebrated her 60th anniversary, which brings FEDA up to 200 years of combined experience. If this does not bring a unique chance of synergy, what will? This year on May 31st FEDA celebrated her 40th anniversary with her members on a activity based event. In addition to the fun activities, the role of robotization and a research about the strategy of SMEs were part of the program. A nice boost for the association, where the members offer employment to around 30.000 people, who together generate a turnover of 4 billion euros. Which makes FEDA one of the strongest technical branch organizations in the Netherlands at this moment!